The Heliopan 49mm RG 1000 Infrared Filter is designed to help capture images of how a subject reflects or transmits infrared light. Conventional light sources such as the sun, photographic strobes, or incandescent lighting may be used to provide infrared illumination. However, because infrared films or digital photographic sensors can be more sensitive to the relatively higher energy and shorter-wavelength visible light those sources also emit, the effects of infrared light can be otherwise obscured. 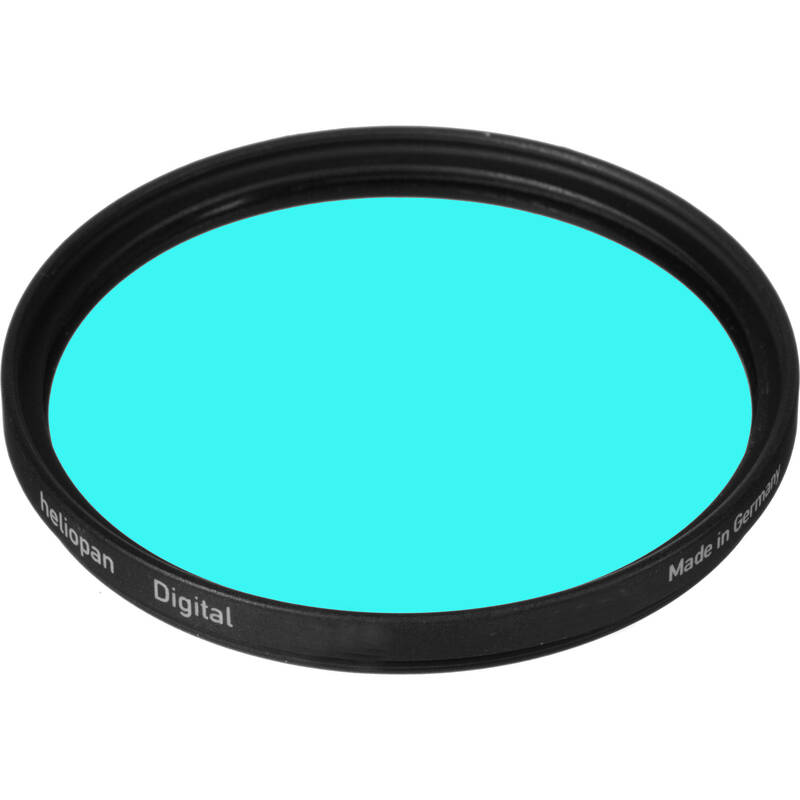 The Heliopan 49mm RG 1000 Infrared Filter makes it possible to capture images of how subjects are illuminated by infrared light by blocking near-infrared, visible, and ultraviolet light waves while allowing 70% of infrared light waves 1000nm or greater into the lens it is mounted onto. Because of the degree to which the Heliopan 49mm RG 1000 Infrared Filter blocks the electromagnetic spectrum up to infrared light waves 1000nm or greater, proper exposure is determined by the infrared sensitivity level of the film or imaging sensor behind it. The particular intensity of infrared-emitting light sources, as well as the relative location of the camera and lens on which this filter is used, can also influence exposure.